Coach's Corner - Hank Williams Sr. owned/used harmonica w/LOA. Go Back to Lot List Hank Williams Sr. owned/used harmonica w/LOA. 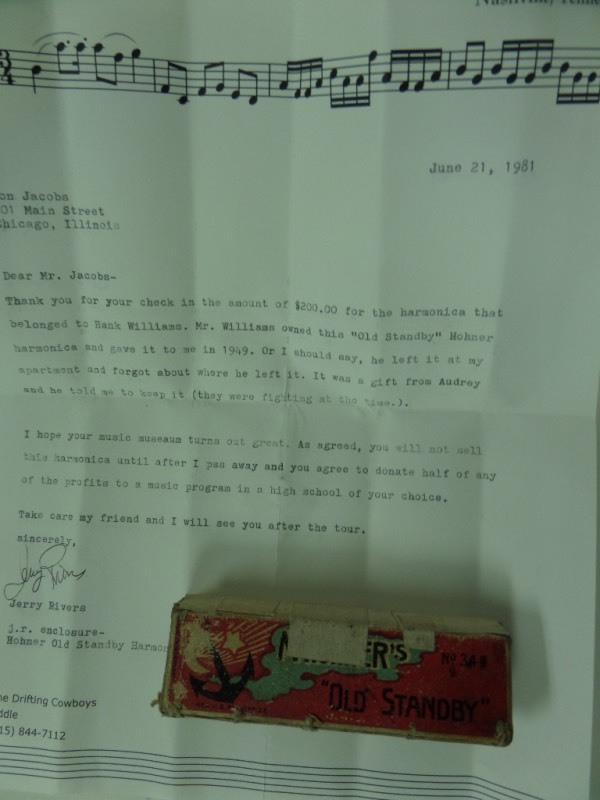 This super rare, super cool piece of music history belonged to Hank himself, and comes with a detailed letter from friend Jerry Rivers of the "Drifting Cowboys". It was sold/donated to a museum in 1981 for $200 and promised to never be sold. It is a vintage Hohner "Old Standby" harmonica, comes in the original box, and we're betting value is thousands!! !